Ken Morton & Sons LLC first opened its doors in Sewell, NJ, in 1985. 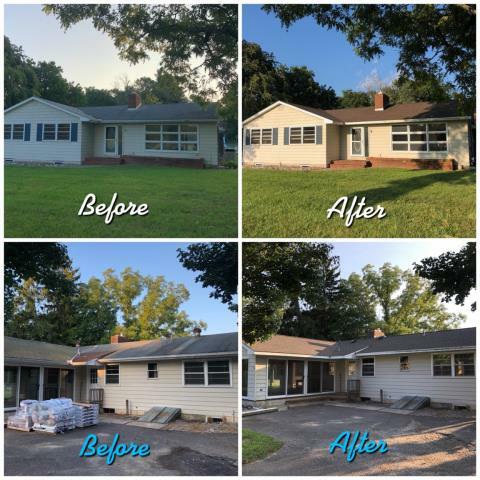 Since that time, we have expanded our roofing and siding repair and replacement services throughout Washington Township and south to Vineland. As we understand that no two homes are the same, Ken Morton & Sons LLC customizes all of our projects. If you find your Vineland house needs siding or roofing work done, we’ll set up a time to do an on-site inspection according to your availability. This will allow us to properly assess your roofing or siding needs, so you’re not paying for unnecessary materials. Our trained technicians will also bring siding and/or roofing samples for you to look at, and will be prepared to answer any questions you might have. It’s been more than 30 years since we first opened our doors, but our priorities remain the same. Our main focus will always be customer service. We take pride in treating our Vineland customers’ homes the same way we’d treat our own homes. We also believe in extending the same courtesy to our customers that we would to our own families. When we meet with a customer, we take the time to listen to their needs, which we believe leads to a better final product. Many jobs are completed in one day. Outstanding property protection and ground cleanup. Supervised, top-quality customized siding and roof installation. Friendly, highly trained contractors who provide great customer service. Ken Morton & Sons LLC has been providing roofing and siding services to local homeowners for more than three decades. Our reputation is our guarantee. If your home needs siding or roof replaced or simply repaired, we can help. For a free consultation, call (856) 582-8800, email info@kenmortonrs.com or submit an online request form. Repair of roof from leaking plumbing exhaust pipe using GAF Timberline Weathered Wood shingles. 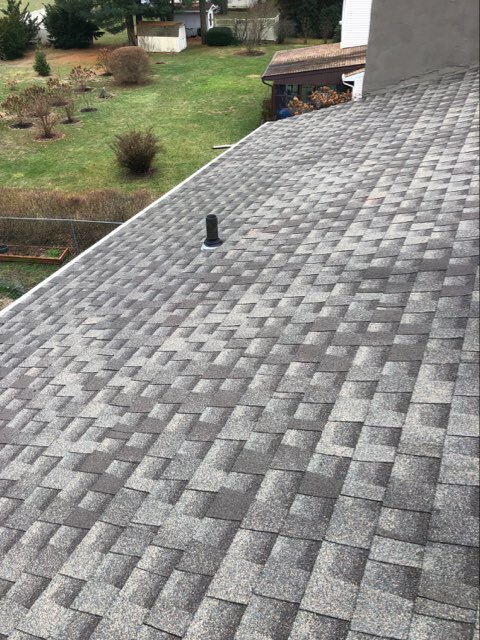 Before and after of complete roof installation using GAF Timberline Barkwood shingles.